Overlooking 15, 000 acres of private parkland, the Guesthouse is 12 minutes to Baltimore City, BWI airport: 35 minutes to Washington, DC (by train). This comfortable retreat property offers two levels, with a first floor bedroom. Other rooms include a kitchen, bath, great room, breakfast room, private, ground floor laundry/changing room/1/2 bath for swimspa pool & outdoor use and a 2nd floor loft which runs entire length of the house. 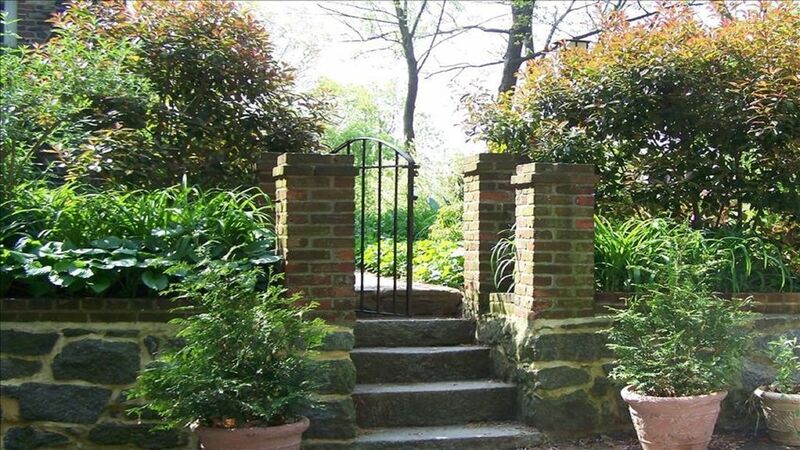 Look out from your front window to view an English formal garden and watch the sun set over the Patapsco River Valley. The summerhouse is the perfect place to relax and watch the rain fall or the fire roar. Sit out on the back deck to see the forest and streams that run below. Our property is located in the historic town of Avalon, Maryland in Baltimore County. Free and easy parking. Celebrating 15 years of hosting short and long term stays. Loads of free parking! Keywords: Historic Guesthouse, Nature Retreat, Furnished Rental, Safety, Seclusion, Family-friendly, Private. Wendy & Gene are authors, consultants, conservators, environmentalists, and interested in sustainable land, protecting wildlife and making good wine. We enjoy our special retreat property most when it is being enjoyed by others. Licensed by the State of Maryland and Baltimore County, we have provided accommodation for corporate stays, retreats, events, families (worldwide) and medical post-ops for 15 years (we are close to all of the major Baltimore hospitals). Let us welcome you for your first or a return stay. Our guests love coming back! Relaxation, retreat and renewal are the theme of this property. Plenty of indoor and outdoor spaces to host family gatherings while in town. The delight of nature with the easy access to civilization. Exotic birds, bald eagles and egret complement the view of the 15,000 acres of parkland. Wildlife is everywhere. Immediate view and access to the park make this a special and safe place for the entire family. We are minutes to all major highways and Baltimore City. Half bath combined in laundry room. Within minutes to public and private courses. Summerhouse, Thermospa SwimSpa, Gardens, Free Access to Parkland, Hiking, Biking, Fishing. We had an extended stay at the house and couldn't have asked for better hosts. The house is tucked away in a beautiful spot and is comfortable and homey. Definitely recommend for groups traveling to the Baltimore area. Cozy, clean, well appointed. Scenic views! Great experience! Wendy was extremely helpful and attentive to our needs even helping to warn us of possible train schedule changes headed into D.C.
We have stayed here several years in a row on our annual trip to visit Camden Yards. The hot tub/spa is a hit with our kids and we love that we can bring our dogs with us. The owners are very nice and unobtrusive and we always have a nice visit. It's a hidden gem in a wooded area only 7 miles from Camden Yards. I stayed here with my husband and my sister and brother and their spouses, and we had a wonderful stay! We especially enjoyed the summer house which is adjacent to the swimspa -- a lovely, rustic brick building with a fireplace, stone floor, plenty of windows, and ceiling fans to keep you cool. We ate most of our meals out there buffet-style, set up on a table made from a slab of quartz atop a brick base. The swimspa/hot tub (or cool tub, depending on what the weather dictates!) is huge, clean, and beautiful, and we spent hours in the water relaxing under the cool canopy of beech trees. The property is within a quick walk of a large park which has lots of woodland hiking/mountain biking trails. The house itself is comfortable, and while not huge, we found it just fine for 6 adults, especially because there are so many pleasant gardens and other nice spots to spend time outside. (We lucked out with fantastic weather.) Wendy and Gene are wonderful hosts; very helpful, but not intrusive. They felt like friends! Plus Gene's wine = fantastic. It's a quick trip to Baltimore and D.C. but during our stay we hardly left the place and instead had 4 days of lounging about, enjoying one another and the beauty of Avalon Cliff. Gene and Wendy are wonderful hosts. I was in town on business and stayed at Avalon Cliff for 3 weeks with my 2 dogs. Pet friendly!! They provided a dog bed, bowls and treats for the pups. The photos of the cottage were more than accurate and left little to the imagination. The grounds were more beautiful than expected and I knew exactly was I was getting when it came to the accommodations. The cottage felt like an "oasis in the trees". It is not the place for anyone afraid of nature and more than 4 people would be tight for the size of the cottage. Yes, there were stinkbugs but Gene warned me of that information upon my arrival and offered to remove them daily; There was not an abundance of stinkbugs. (There was also a great little hand held dirt devil to remove the ones that ventured inside at an instance). The house and linens were clean and I was able to use the private laundry facilities downstairs in the garage. The kitchen was well stocked and WIFI on site was a huge help as well. I was able to secure a dog walker (Erin with "Tails and Trails" was FANTASTIC and reasonable!) and having the park down the drive was a great convenience. The sun room was a perfect place to have the dogs during the day (no fenced area unfortunately) and the porch just off the kitchen was a great space to unwind and have breakfast. Overall, my stay was very enjoyable and I look forward to returning to Avalon Cliff next year! Thank you Gene and Wendy! Thanks Lauren-we will look for your return visit next May! Rates are subject to change until reservation has been confirmed by payment. Refunds for VRBO fees only apply to full price reservations.